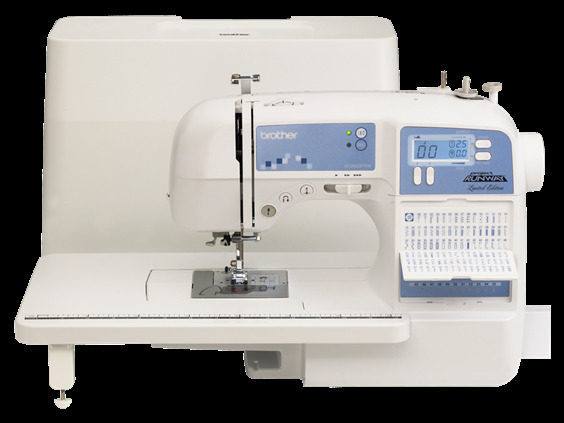 Janome is a well respected name in the sewing machine industry producing good quality machines that work great for beginning sewers and more advanced ones as well. 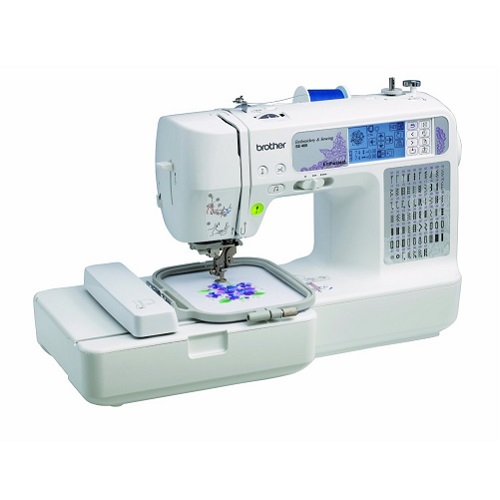 The Janome DC2014 offers great quality in an easy to use computerized sewing machine. Janome sewing machines don’t change from year to year other than the color and that is the way you can tell what year they came out. For example, the DC2014 came out in 2014. It comes with many features that make it a very enjoyable machine to use. 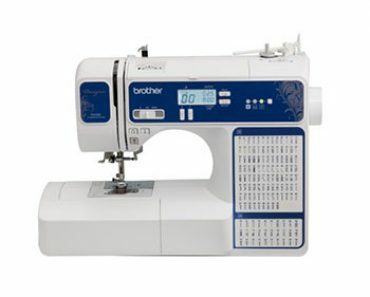 Even though it is not a cheap sewing machine, users that have it find it well worth the price. 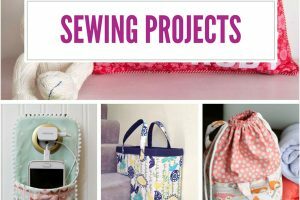 You will have a choice of 50 built-in stitches to use for your sewing projects. Choosing them is easy; just scroll through the selections and select the one you want to use. All the stitches are printed on the front of the sewing machine so you can get to know what is available. Another cool feature for new sewers is that below each stitch selection you will see the recommended presser foot to use with the stitch you have chosen. 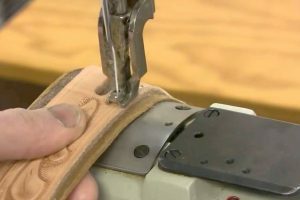 Your 50 stitches are made up of stretch stitches, quilting stitches, utility stitches, garment stitches, appliqué stitches. 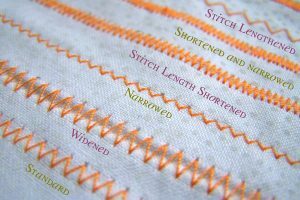 You also have 3 buttonhole stitches to choose from that are all 1 step. You have a max width to work with of 7mm and a maximum length of 5mm. 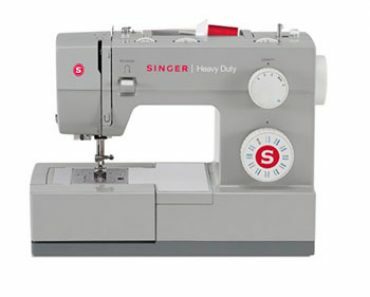 Every sewer, beginner or not, wants a sewing machine that is easy to operate and understand. All the bells and whistles in the world won’t matter if you can’t work the machine. The Janome DC2014 is very user friendly and you can make things like home décor items, quilts and other fun items. It’s also a great machine for making clothes. When you are first getting the hang of using this sewing machine you may have to get used to the needle threader which seems to cause a bit of trouble for the new sewers. Changing presser feet is super simple and they just snap on and pop off easily. It is such a strong machine that it can sew through multiple levels of denim without having to use the denim needle. It is very quiet to operate and you will love the quality of your stitches. When you are first starting out, you’ll love the instruction manual which is written very clearly and simply so beginners can understand and follow it easily. Another plus is that it has very few plastic parts which means it is very durable as well. Accessories are another favorite of sewers, new and experienced a like. A machine that has a lot of accessories is kind of like getting bonus Christmas presents. 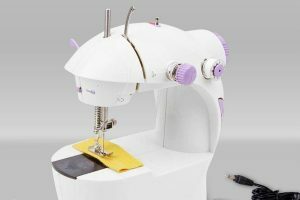 The Janome DC2014 has a great list of accessories that come with it that will be of great use to you whenever you are working on your sewing projects. If you would like to get some inside information on how the Janome DC2014 performs, you can do that by reading customer comments and feedback. 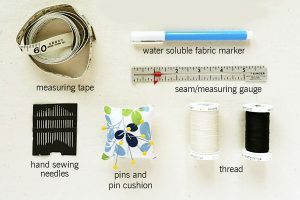 People are usually more than happy to share their experiences and this can give you a great idea of how the sewing machine works once customers are buying it and actually using it. Many people make their decision to buy or not based on customer feedback. Below are some of the things customers have to say about this model. 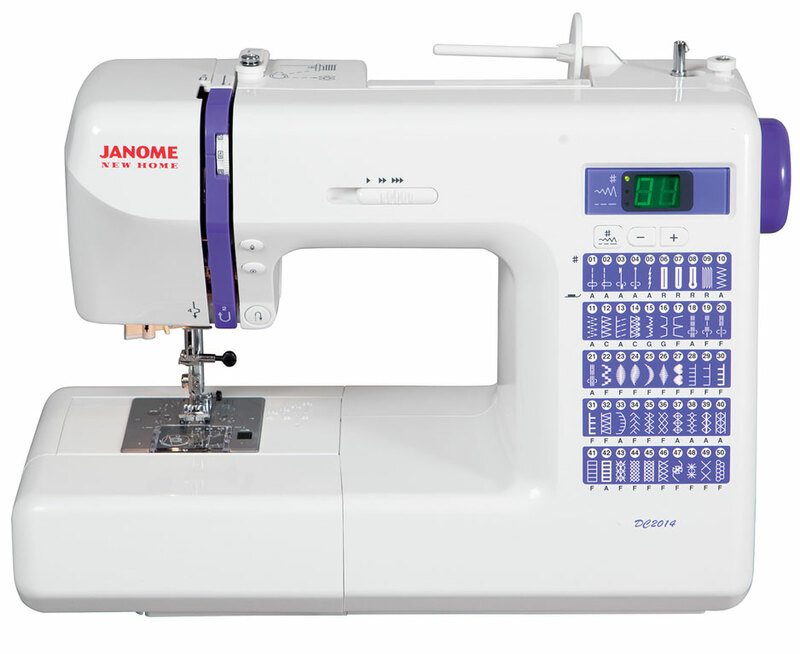 There are a few different warranties that come with the Janome DC2014. First you get a 25 year warranty on all mechanical parts; then a 2 year warranty on all electrical parts and 1 year on labor. Warranties are a great way for a company to give their customers peace of mind and it shows that they stand behind the workmanship of their products as well. 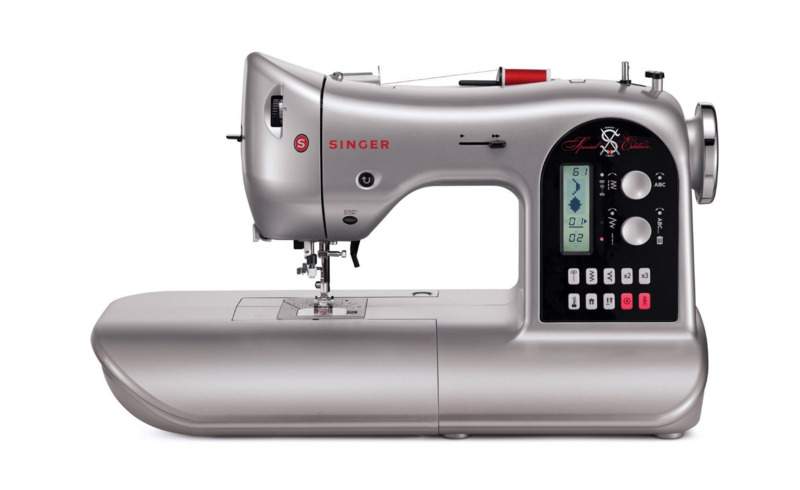 If you are looking for a good quality sewing machine that has a good amount of stitch choices and features, and you are new to sewing, you will enjoy using the Janome DC2014. 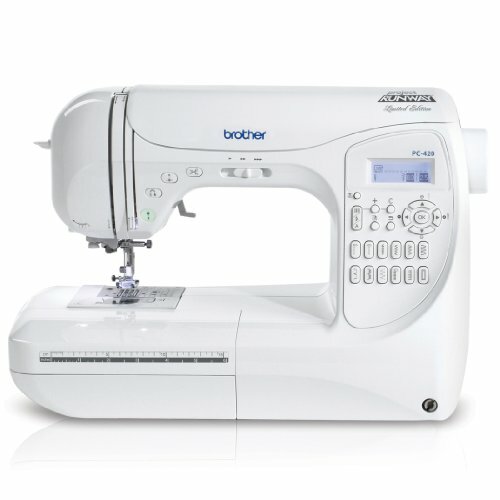 Aside from the pretty purple color (and if you don’t like purple, you can look at previous years’ models which have all the same features but are pink, yellow and green) It is easy to use and is a great mid level computerized sewing machine that is a great one to start learning on. The easy to read manual will have new sewers up and running in no time. If you’re looking for quality at a good price, this is your machine.